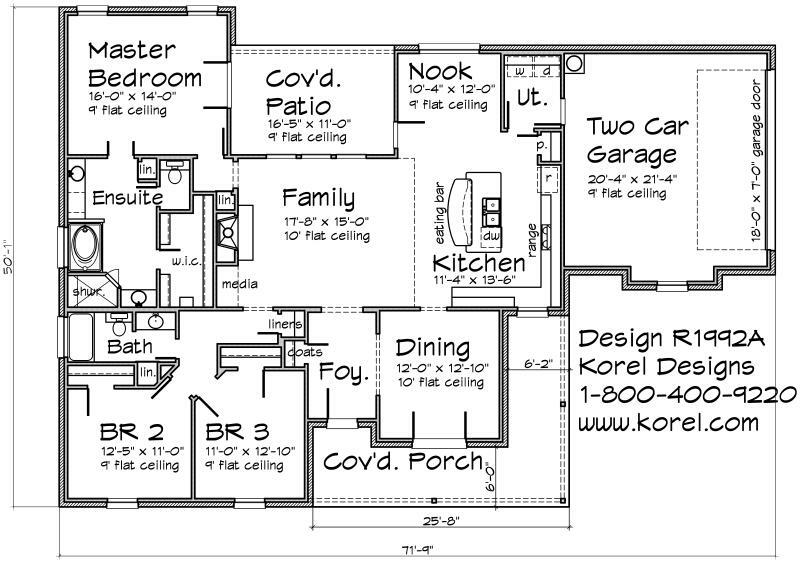 This Design is a great home for the First Time Home Buyer with a young family. There are 9′ ceilings through-out with a 10′ flat ceiling in the Family Room. Your new Kitchen has a nice large work Island with the Kitchen Sink and Eating Bar overlooking the Family Room. Your new home will have plenty of closets and Hall Storage. Your Master En suite has a huge Walk-in-Closet, Garden Tub and separate oversized Shower. You will enjoy plenty of Outdoor Living with the semi-wrap-around Front Porch and large Covered Patio. 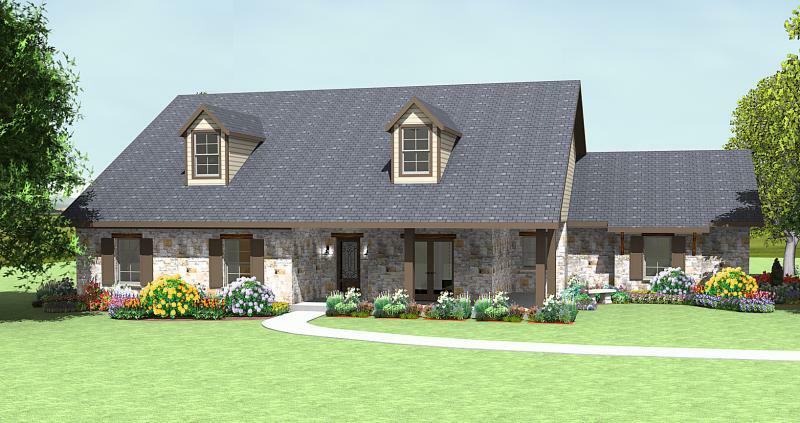 The exterior is a beautiful Country Ranch design with an affordable 8:12 Roof Pitch.